What is the Daniel Fast and Why Is it So Popular? The Word of God is wonderful in that it gives us examples of how to do the things that we as Christians are called to do! One of these things is fasting. We are called to fast, and there are examples for us within the scriptures that give us a blueprint on how to do it. A widely known fast that many Christians have either heard of or have already implemented into their spiritual lives, is the Daniel Fast. What is the Daniel Fast and how is it different from different fasts? Here’s what you need to know about this particular fast and the man who inspired it. The Daniel Fast is named after the prophet Daniel, and the idea behind the fast is first introduced to us in Daniel 10:2-3,” At that time I, Daniel, mourned for three weeks. I ate no choice food; no meat or wine touched my lips.” What I love about Daniel is that fasting was a normal part of his lifestyle. All throughout the book of Daniel there are multiple instances where he is found fasting, praying, and petitioning to God on behalf of his people. Daniel was devoted to seeking the Lord for repentance, revelation, and understanding concerning visions that were given to him. If there is one important thing to know about Daniel, it’s that the disposition of his heart was central to the way he fasted. A heart that is repentant and focused on God in Heaven the way Daniel’s was is one of the keys to unlocking the success and beauty of the Daniel Fast. Daniel humbled himself before the Lord. He acknowledged his own sins and the sins of all his people. He cried out to God to make things right for His name’s sake. Suzanne Niles and Wendy Simpson Little talk about how God first drew them to repentence in their fast in their article, "5 Ways Fasting Can Change Your Life." "We thought the simple equation of Prayer + Fasting = Quick Fix Answers was what we should expect. Little did we know that our heavenly Father would choose first to carefully address the areas in our life that needed fixing, confession and repentance," they said. Fasting allows us to tune our spirit to the flow of God’s heart so that we can come into deeper relationship with Him. Fasting helps us to understand what he desires from us and gives us insight into his perspective. Niles and Little also talk about how God invites His people to seek him. “‘Call to me and I will answer you and tell you great and unsearchable things you do not know,’ Jeremiah 33:3. For those who truly know Jesus, how could you ever resist that appeal? You have been invited to ‘call’ to Him in prayer. His Word says that He will tell us things we don’t know. If you want deeper intimacy with God, then we highly recommend you enter into a sacrificial space in time where you seek Him like never before,” they said. The Daniel Fast is a one-of-a-kind fast in that instead of food being cut completely out of the equation, which is how we usually understand fasting, we are able to eat food, but are restricted by the types of foods we eat. In the scripture, it says that Daniel didn’t eat any delicacies, meats, or wine and was in mourning for 21 days (Daniel 10:2-3). Scripture tells us exactly how long the fast lasted and what types of foods Daniel did not eat. I believe these two things gives us valuable information so that we can incorporate this fast into our own lives strategically and confidently! Length of Time: How Long Do You Fast on the Daniel Fast? The Daniel Fast in the Bible lasted for 21 days long. For those who are biblical number buffs, 21 is the product of seven (7) and three (3). Both seven and three have biblical meanings for completion. I believe that this fast in particular helps us in seeking understanding concerning the end of a thing, the completion of a thing, or the fullness of a thing! Perhaps you are in a place in your life where you need hope for something that seems to be dying, or you are looking for answers in a certain area. Because of the way the Daniel Fast is constructed, I believe that this is an awesome fast to go on to gain clarity and wisdom for those things. I believe that in the same way Daniel received understanding and a response from Heaven, so will we! We know that there is no condemnation for those who decide to eat or exclude certain foods from their diet. Scripture doesn’t really go into detail about why Daniel only ate the foods he ate, so this is of course my speculation only. But I believe that Daniel wanted to make his body as pure as possible. Meat, delicacies, and wine are all foods that are manipulated by man for consumption. Everything that Daniel ate are things that can be eaten without being changed by humans! Since the restrictions stop at meat, delicacies, and wine, there are different variations of this fast that people do! I think that is one of the things that I love about this fast. It can be somewhat tailored for the individual person. Lori Hatcher gives some practical advice on fasting in her aritcle, "10 Ways to Fast (That Actually Work!)" She talks about using hunger and cravings during fasting as reminders to pray, instead of just focusing on the pain. "Whenever your tummy grumbles or you desire what you’re fasting from, pray instead. Instead of trying to ignore your cravings, use them as prayer prompts," she said. Dr. Josh Axe goes in depth about what the Daniel Fast means and how to practice it in his video, "How to Do a Daniel Fast." I believe the Daniel Fast is a powerful way for us to connect to the heart of the Father and receive revelation about the times and seasons we are living in. I pray that you consider making this fast part of your spiritual walk with the Lord and that you would receive the grace and understanding that you are seeking! Britnee Bradshaw is a free-spirited, Old Navy-wearin', coffee-shop lovin', wife and momma. 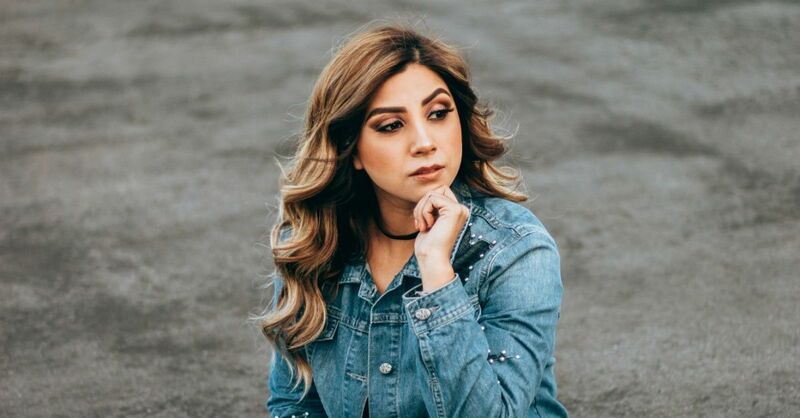 She serves in the worship ministry with her husband at their home church in Glendale, AZ and writes with the sole purpose of pointing others to Christ. You can catch up with her on her blog, On The Way Up, or via social media @b_brdshw!